Australia has long had a love of aviation. We have an aviation pioneer on our $20 note. We recently celebrated the first direct commercial flight from Australia to London by Qantas, and on a per capita basis, we are one of the highest users of air travel in the world. However, a Senate inquiry into the regulation and funding of air route service delivery to rural, regional and remote communities is showing not all is going well with aviation outside of the major cities. Consumers are reporting high airfares, meaning they can't travel, council-owned regional airports say they are losing money, and many air routes have been abandoned or are heavily subsided by government. The reasons for this are multifaceted, including the lack of pilots, excessive and expensive regulation, relatively high airport charges and ageing aircraft. General aviation traditionally has been the breeding ground for training and employment of new pilots. This is because general aviation has been responsible for the operation of low-capacity airline routes, charter, freight and other essential services, mainly for remote and regional communities. However, the recent approval of 457 visas for pilots, primarily to fly larger aircraft, has left many in the industry dumbfounded and goes to demonstrate the perilous state the aviation training sector is in. Given that Australia has a highly educated population, vast and generally (outside capital cities) uncongested airspace, many airports and a good variety of weather, it seems Australia should be an ideal location to not only train enough pilots for our own industry, but to be a training platform to help ease the growing international shortage of pilots, particularly in the Asia-Pacific. While there are many reasons for our industry failing to meet demand, one suggestion is that it is problematic for a small general aviation company to comply not only with Civil Aviation Safety Authority regulations, but also the Australian Skills Qualification Authority regulations, should they wish to issue a Diploma of Aviation, attract international students or pursue the Vocational Educational Training Student Loans scheme. Flying training by its nature is expensive; courses can cost over $100,000. 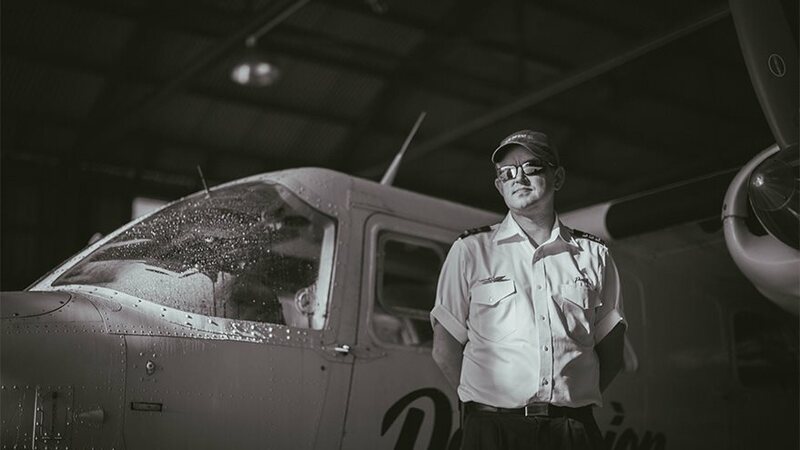 Without becoming a Registered Training Organisation, thus reporting to two federal regulators, there are limited options for a student to obtain a loan to pay for their aviation education. In addition to flying training, the other backbone of general aviation is charter services in smaller aircraft (that is, 10 seats or less). For the nearly 30 years, CASA has been discussing the merger of two distinct regulation types, passenger air charter and regular public transport services, into one, namely "passenger transport"(Part 135). The problem is that regulations for regular public transport services are relatively strict and costly when compared to charter. Several additional staff are required to operate the airline, such as safety managers, quality managers, and continuing airworthiness managers. RPT aircraft are maintained differently, with more costly regulations applying. Should the new Part 135 rules follow the highest RPT rules that apply now, then I would suggest many charter operators would simply shut down. CASA has announced that the new regulations are coming in June/July this year, which is good to hear. However, I firmly believe that this legislation has the potential to make or destroy the general aviation industry. If the regulations set the bar too high, general aviation may well be finished. Set it right and local airlines could return to regional towns, giving greater benefits for everyone in the community. We all agree that aviation needs to be safe. However, the regulator and the government need to have a greater appreciation on what their decisions can do to organisations other than the major airlines. The new minister, Michael McCormack, needs to appreciate that general aviation is the breeding ground for the next generation of aviation, supports regional Australia and we can't afford to be ignored for much longer. Shannon Wells is the managing director of Airlines of Tasmania (Par Avion), a RPT and Tourism charter business based in Hobart.